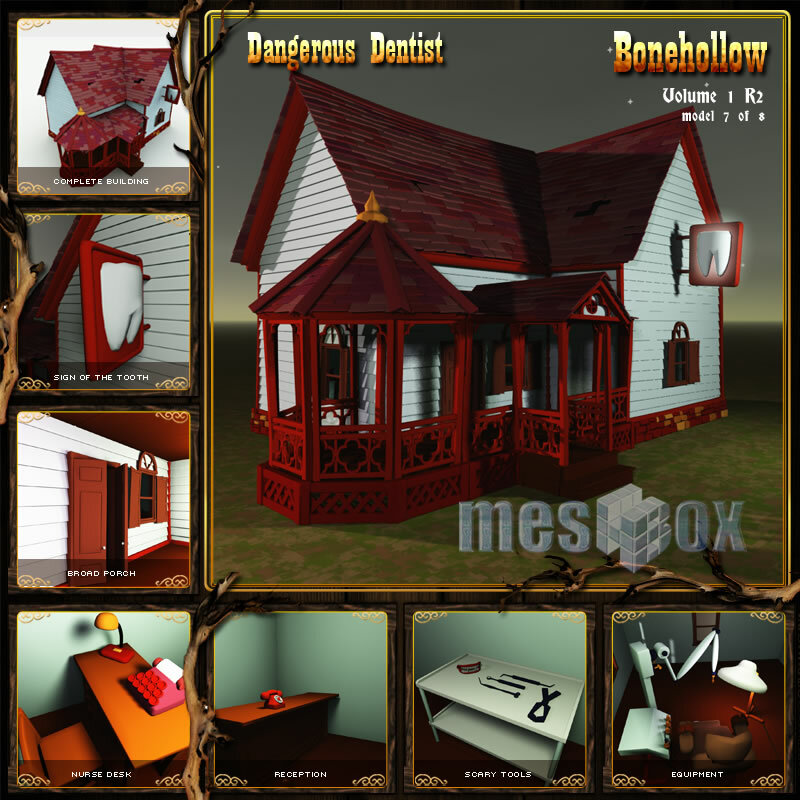 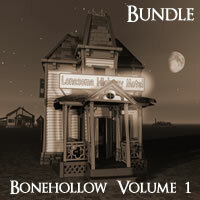 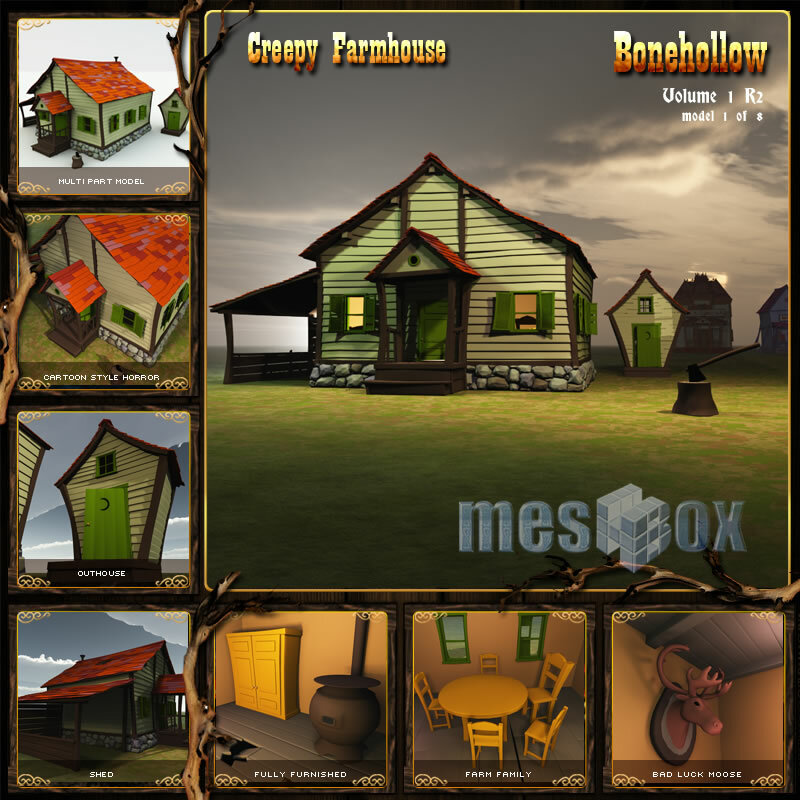 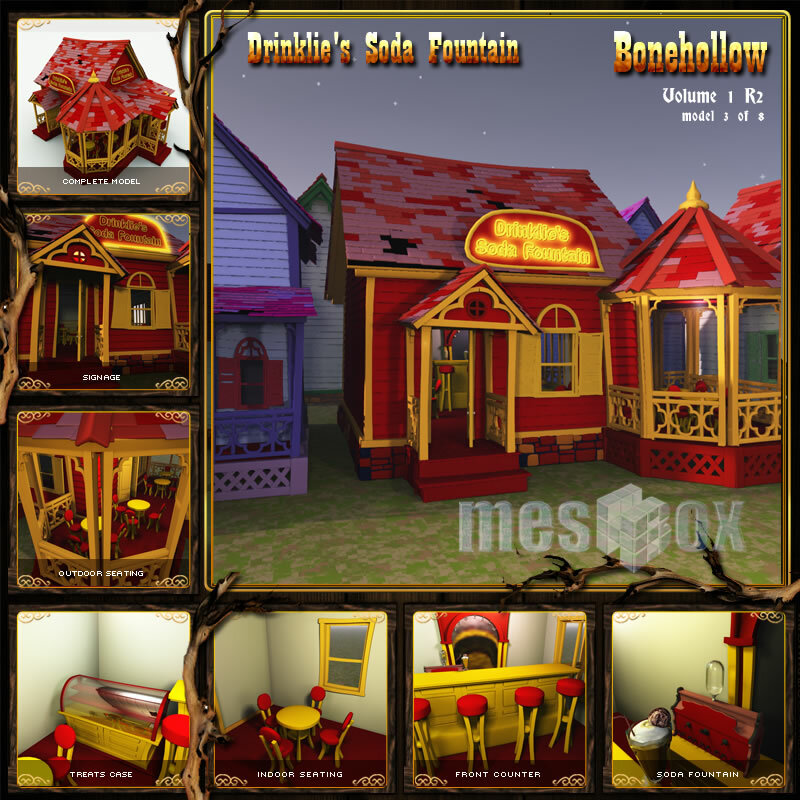 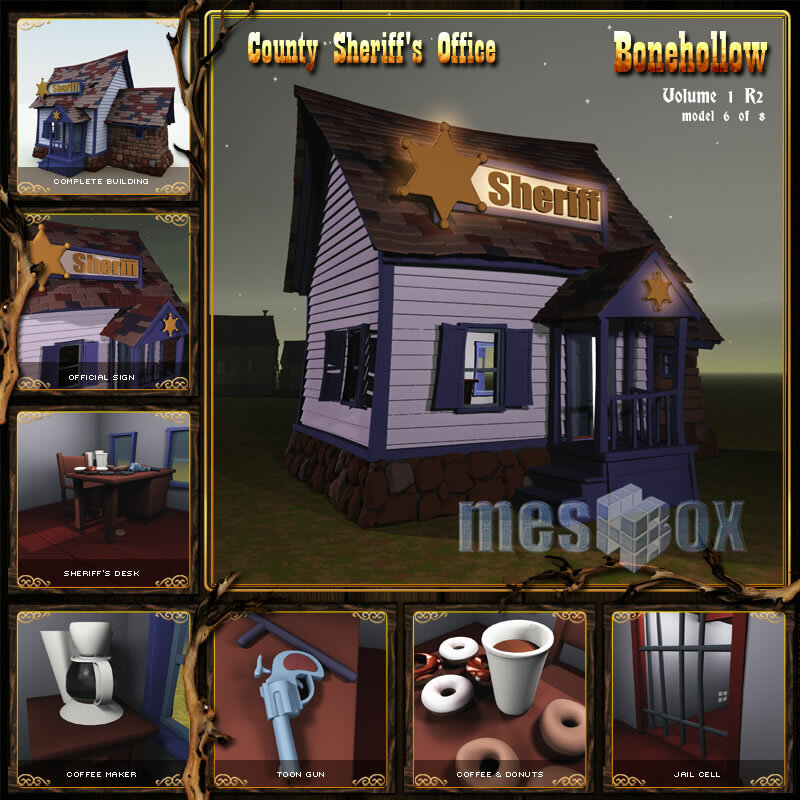 Bone Hollow Volume 1 R2, a toon style set of horror buildings perfect for a Halloween design or animation presentation! 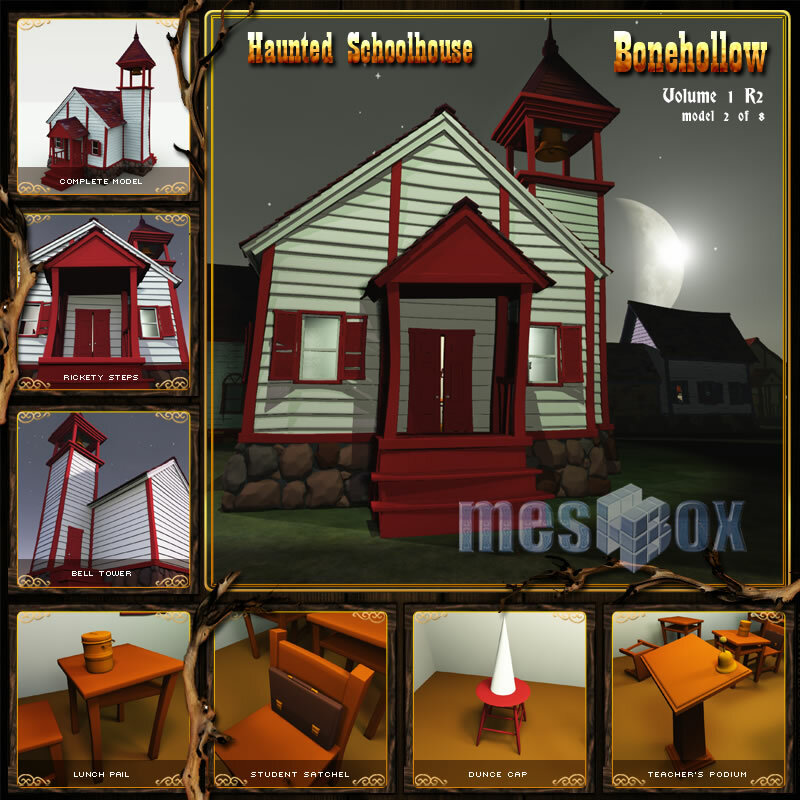 Bone Hollow is a quirky, somewhat silly town where ghosts, zombies and other dark side denizens go about the business - of every day life! 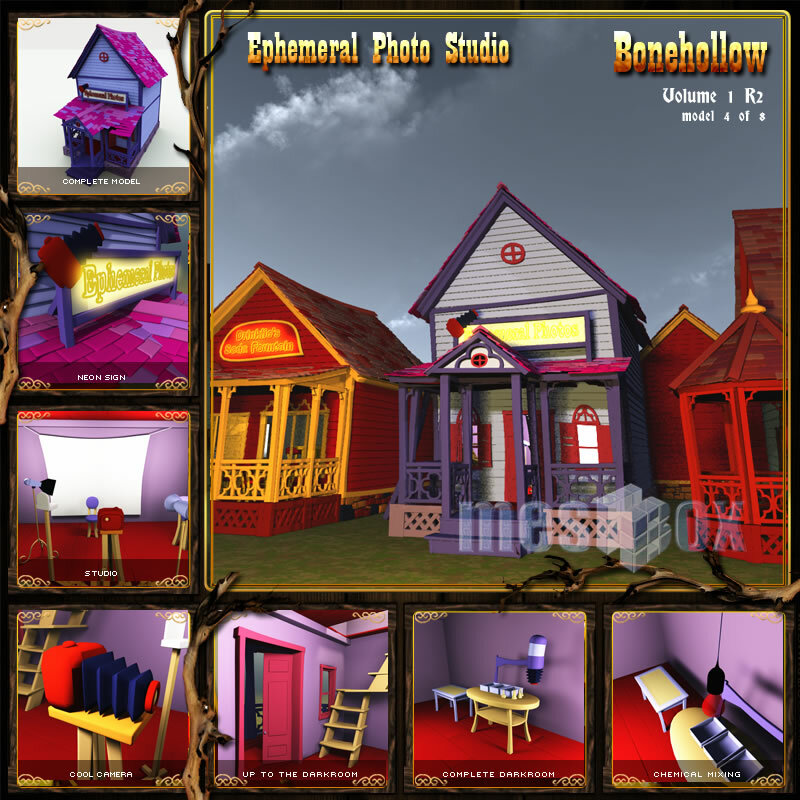 The R2 version of Bonehollow Volume 1 features new geometry, plus complete textures to replace native shaders in the original series.